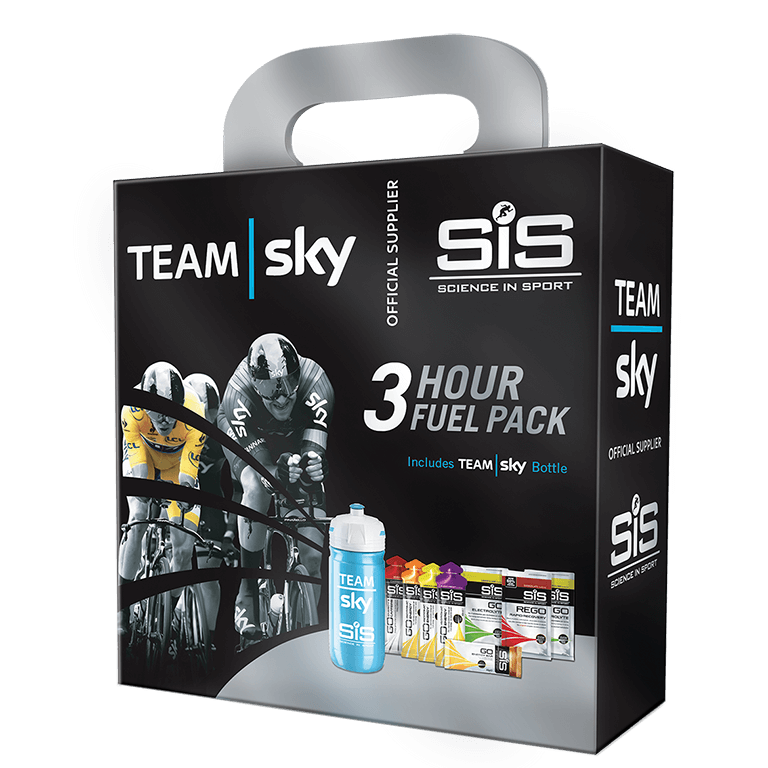 Ride like Team Sky with this pack filled with everything you need for a 3-hour ride. With contents worth £18, this pack offers fantastic value to power you through your next ride! **This product is not available to purchase. It is a free gift when on promotion. Our Team Sky 3 Hour Fuel Pack contains all the nutrition needed to fuel a 3 hour ride and then recover once the bike is retired for the day. The products included are the same products used by Team Sky. Contents worth over £18 at individual RRP.